Weï¿½re here because of you! ï¿½ Weï¿½re here for you! Every real estate transaction involves countless aspects. 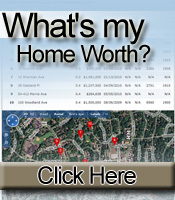 Knowing the inventory and the local market. Knowing the local communities. Understanding what people want. Effective scheduling.Ongoing marketing. Home inspections. Contract negotiations. Paperwork ï¿½ lots of it. Keeping track and managing countless detailsï¿½ not letting anything fall thru the cracks. Letï¿½s face it. The agent with the great people skills who will instinctively understand you and your dream home is not usually the same person who will best keep track of the paperwork or handle the effective marketing of your home. Thatï¿½s why the surgeon does not take your insurance information, among other things. Thatï¿½s why you want a team of specialists in one of the most important purchases in your life. Greetings, Iï¿½m Trish Giassa. Over 20 years ago, I left marketing to sell real estate. The best thing is that I get to use all my marketing skills in real estate and real estate is much more fun! I love helping people like you buy and sell homes. Daily we strategize to prevent problems and solve the ones that somehow just crop up. Every day new people and new challenges populate my life and I welcome each and every one with integrity, enthusiasm, and a win-win attitude. My role on the team is to work with each team member to make sure your experience is the best it can be! On the front lines and behind the scenes. Iï¿½m always available for you. Real estate pervades my life yet I still find time for my other passions: hiking, downhill and cross country ski, traveling, cooking and languages. Iï¿½m fluent in Italian and manage a few words of French. Our entire team is to serve you and make your home purchase and sale a phenomenal experience! From beginning to well after the closing, we will bring all our resources to bear. There are many qualities and skills that go into being an excellent real estate professional: integrity, in-depth local market knowledge, marketing savvy, effective negotiation skills and a high-quality professional network; all of which are hallmarks of how the Trish Giassa Homes Team works. We have found that providing the very best service is about putting clients first . We are committed to being accessible, always telling you the truth, being good listeners as well as good communicators, and responding quickly to your needs. This client first philosophy is always our approach and it requires us to continually improve our skills and knowledge. In addition, we've found that the latest technologies enable us to improve our service to you, providing you with what you want and need quickly and efficiently. Making a decision about who to trust to help you with your real estate purchase or sale can be confusing.Allow me and my team to bring you and your family home. 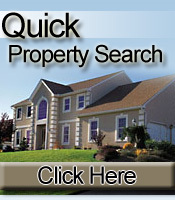 When you decide that you want to buy or sell a home in New Jersey, please contact us .